Attic venting is an important aspect in maintaining a healthy energy efficient home. Proper venting cools your roof extending the material life and reduces the load on your air conditioning system. Attic venting also increases fresh air circulation. Passive vents have been a part of building codes for years but to really get the benefit of venting, soffit vents, ridge vents and louvers rely on nature to provide sufficient air pressure and air movement., so the majority of the timer your attic is stagnant and continues to build up heat and moisture. Natural Light's Solar Gable Fan is a simple and environmentally sensible solution that can save you money. Powered completely by free solar energy, this efficient vent is compact, quiet and installs easily. Operating at up to 850 cfm, the 10 watt unit can fully vent up to 1,200 square feet. 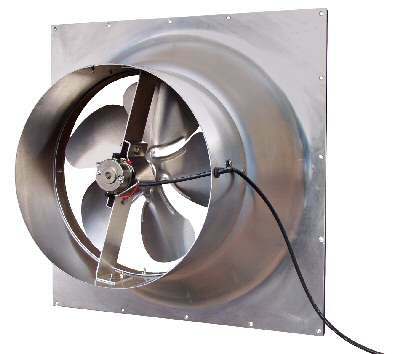 The 20 watt unit operates at up to 1,275 cfm and fully vents up to 2,000 square feet. Includes a 12 foot long power cable to connect the fan to solar module. Venting Capacity - up 1,200 sq. ft.
Venting Capacity - up 2,000 sq. ft. The photovoltaic panel is the benchmark for solar collectors, and is specifically designed to match the power curve of the fan motor, ensuring maximum power output throughout daylight hours. Natural Light's Solar Gable Fan is better by design, incorporating the best features, the best materials and the best construction. 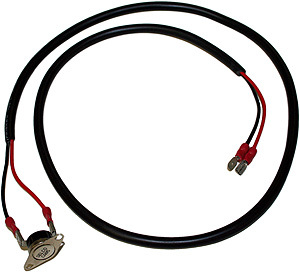 A simple Thermal Switch is available for an additional fee. Prolong the life of the fan, there's no need for it to run when the attic area isn't overheated. Backed by the best warranty in the solar attic fan industry: 25 years on the housing, solar panel, and motor!